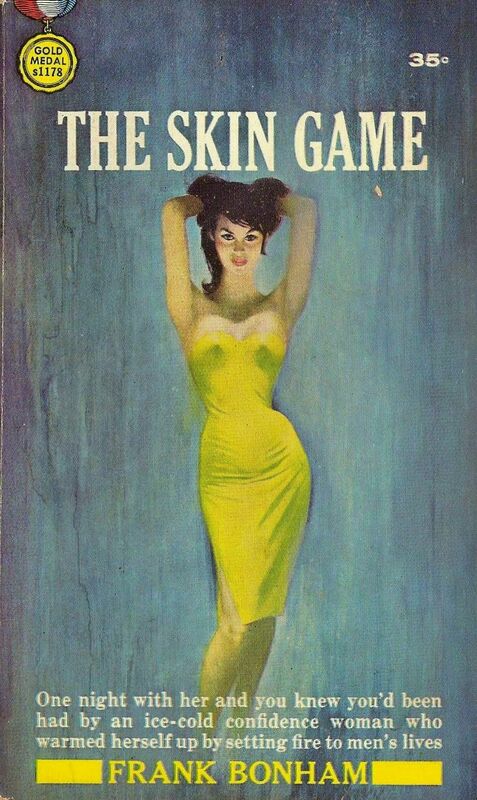 The Skin Game, by Frank Bonham (Gold Medal, 1961). It was eight years ago today that I somehow got into my mind the notion that I had just enough free time and more than sufficient energy to launch a companion blog to The Rap Sheet. The original idea for Killer Covers was to post images of vintage book fronts I liked—works of crime fiction as well as others—along with brief information and opinions about those façades. (My very first post here shows what I had in mind.) However, I soon found that I wanted to say more about both the artists responsible for the covers, and the authors behind the books themselves. So, as often happens with my editorial projects, this one grew well beyond what I’d imagined. Had I known from the start what Killer Covers would become, I might have been more intimidated by the prospect of launching the blog. Nonetheless, I’ve enjoyed building this site, figuring out what works and what doesn’t, and how not to place excessively high demands upon myself. I’ve become fond of artwork executed by a variety of people I would never have known about had I not invested my time in Killer Covers. I’ve also been frustrated by the fact that some publishers of classic paperbacks didn’t see fit to identify the painters behind their cover illustrations. I can’t tell you how many hours I’ve expended trying to track down artist credits for the books about which I hope to write. Whenever I have to admit that I don’t know who painted a particular cover, it feels like a minor tragedy. For this eighth anniversary post, however, I’ve decided to make the most of such ignorance. The eight lovely book fronts posted here (a convenient number, don’t you think?) are all by artists whose identities seem to have been forgotten, despite the manifest appeal of their efforts. If anybody happens to know more than I do about the parties responsible for these covers, please don’t hesitate to let me know in the Comments section at the bottom of this post. 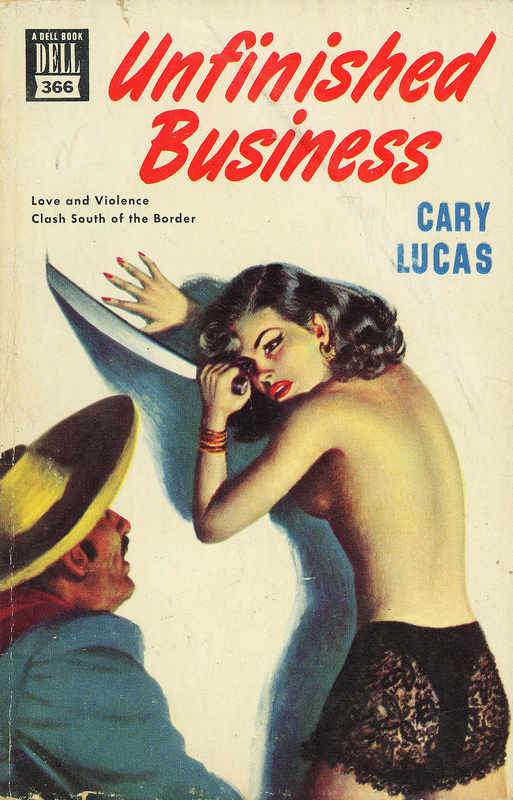 Unfinished Business, by Cary Lucas (Dell, 1950). 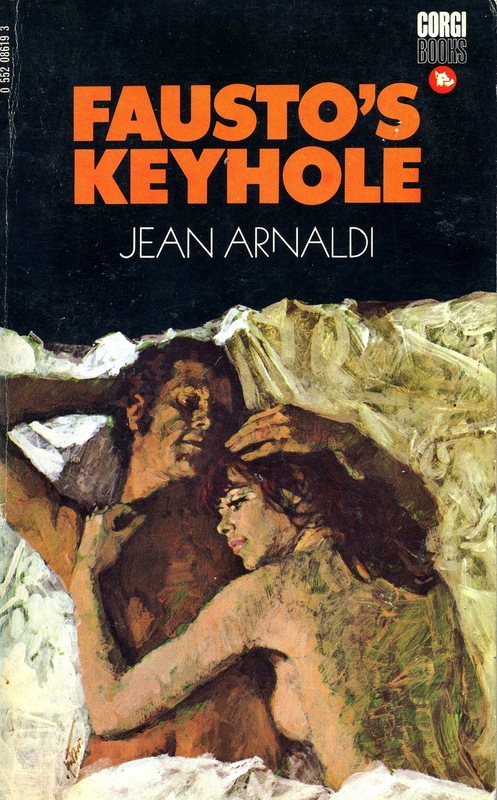 Fausto’s Keyhole, by Jean Arnaldi (Corgi, 1971). 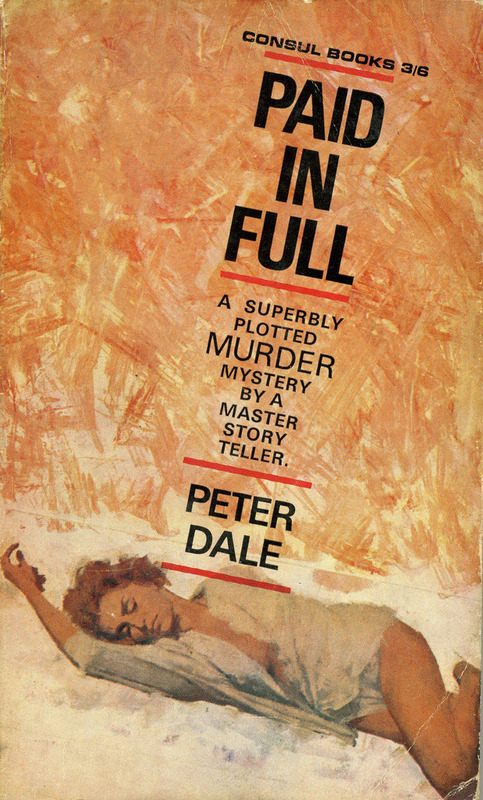 Paid in Full, by Peter Dale (Consul, 1965). 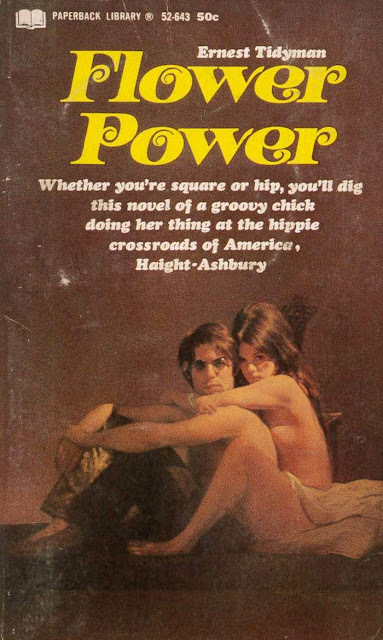 Flower Power, by Ernest Tidyman (Paperback Library, 1968). The first novel by the author of Shaft. 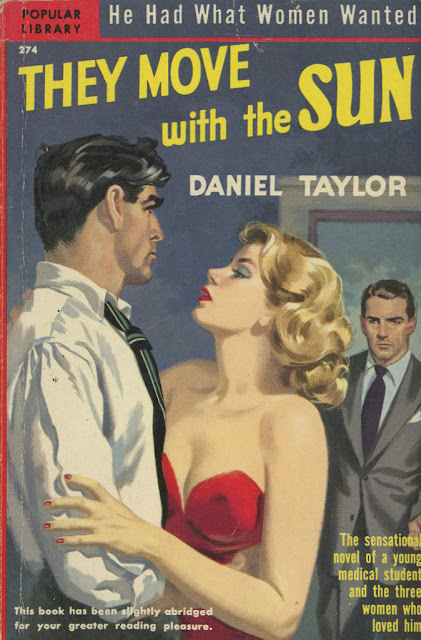 They Move with the Sun, by Daniel Taylor (Popular Library, 1950). 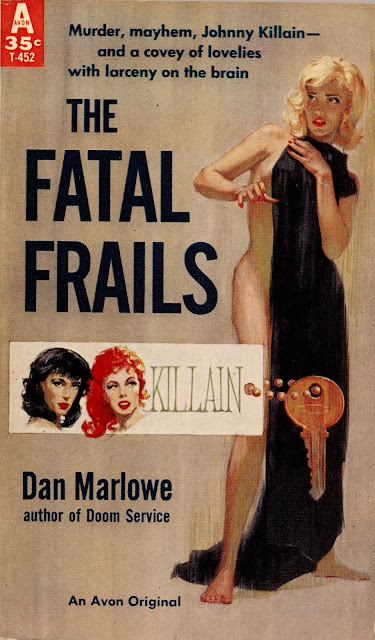 The Fatal Frails, by Dan Marlowe (Avon, 1960). Nor Fears of Hell, by William Bennett (Fabian, 1959). Thank you, everyone, for supporting Killer Covers over the years. Kudos and happy 8th anniversary to one of the best blogs on the internet! Thank you, Bob, for such wonderful encouragement! Congrats on 8 killer years! I read your updates via RSS, and I bet you have plenty of syndicate readers out there. Thanks for keeping the hits coming. I always enjoy reading your blog. I am sure I am one of many who appreciate the time and effort that is obviously put into It. A labour of love I suppose? Clearly it is! Congrats on the anniversary! I always enjoy this blog (as you know). A bright spot to start the morning most days. Keep up the great work! FATAL FRAILS looks like McGuire. The Tidyman is a photo, I believe. Congrats! The first one looks like Raymond Johnson. The last looks like Bill Edwards. I have "The Skin Game" and there is no mention of the cover artist that I can find. Congrats on your anniversary! As a fellow blogger, I know it's tough to keep posts coming regularly (and keep them interesting), but it's also very rewarding. Keep up the good work! You might be right about the cover of Fatal Frails. It’s artwork does suggest Robert Maguire’s style, especially in the women’s faces. Fausto's Keyhole has Arnaldo Putzu's signature.